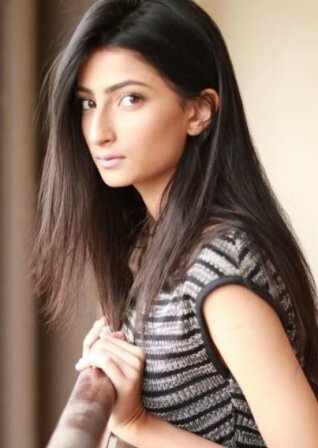 Palak Chaudhary is a child actress and was born on 8 October, 2000 in Mumbai to TV actress Shweta Tiwari and Raja Chaudhary. She always tries to make her mother feel special. At the age of 13, she encouraged her mother for the second marriage with Abhinav Kohli. Shweta Tiwari is a successful mother both on and off screen. She has gone through a lot in her personal life and considers her daughter as the constant support in her life. Their bonding became even stronger with the hard time, they phased because of Shweta’s ex-husband Raja Choudhary. Popular TV actress Shweta Tiwari is a mother of two children. She has daughter Palak Chaudhary , who all grown up and is winning the internet with her gorgeous looks. Her looks and poses in the photoshoot are proving that she is ready for TV! Palak is playing the role of doting sister to Reyansh Kohli! Palak is Shweta Tiwari’s first child from ex-husband Raja Chaudhary. We are just waiting for her debut, be it Bollywood or Television. Raja was married to TV actress Shweta Tiwari in the year 1998 and they have a daughter named Palak. The couple got separated in 2007 after 9 years of marriage and got divorced in 2012. Almost 9 years after separation, Raja Chaudhary says that he still misses his daughter Palak a lot and it was a painful moment for him to see Palak going away forever. Raja wants to see him settled in his hometown, Haryana with his wife Shveta and children. He wants to do organic farming for his livelihood.